Online video streaming is the new of way of entertainment. People love to watch live and recorded shows online but for the creator of these show online streaming is not enough as they are now making efforts to engage audience. The interaction of audience is crucial for the success of online shows and their broadcaster. In China, every kind of online show including TV shows, reality shows, user-created streaming websites, and movies streaming platforms are becoming more and more interactive. The concept of audience interaction is not new. Japan already has some platforms like Danmu which allow users to comment on live shows. South Korea has websites which encourage users to do virtual tipping on online videos. Some broadcasters allow users to do voluntary voting during live shows. Before the popularity of internet, the interaction with audience was usually made through text messages. This old concept with new medium has opened the gate of unique way of interaction and it Is referred as online-only interaction. Audience uses their internet connection to interact in one way or another. It is also proving very fine way to increase revenue. Recently, Luo Yonghao, founder of a smart phone copmpany, and Wang Ziru broadcasted their debate on Youku-Tudou, a video steaming website. This debate attraction 2,5 million people and one million of them interacted through voting. Supports of Luo Yonghao also tipped 1500 USD and Youku Tudou kept all of that tip. Similarly buying of virtual gift on online video streaming platforms is another way to raise revenue and companies like Tiange and YY are making money through this technique. One of the most successful online interactive show in China broadcasted in 2014 by China’s social media Tencent in 2014. 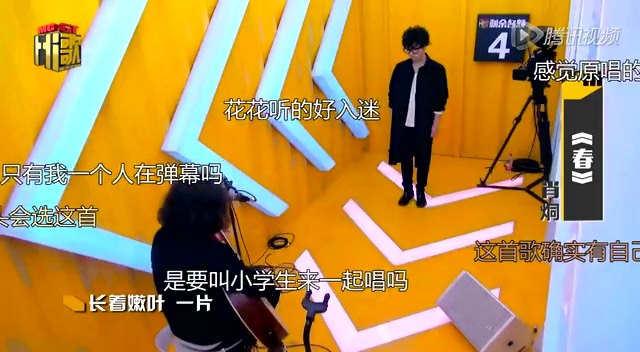 Tencent launched a competitive show, Hi Song, in which young talented singers competed. This show was very interactive because it utilizes multiple techniques to engage audience. In every episode audience were asked to vote for their favorite participant and in the final episode more than 5 million people voted for different participant. there was an option to bring eliminated participant back through audience vote. this feature also improved the audience interaction. Different social media platforms like Mobile QQ, QQ music, and WeChat were used to get feedback from the audience and company made adjustment through audience feedback. Some Danmu comments from viewers were displayed during live show and in some segment celebrities even replied to few comments. According to broadcasters, they received almost 30 million comments during all episodes of the show. This kind of response indicates the success level of the show and it attracts high paying sponsors and we all know that sponsors are the backbone of any project in media. Tencent got attention of premium smart mobile company’s attention and got sponsorship from it. It means the online interaction does not increase the popularity of the show but also help production company to earn serious amount of money. Viewers also spent real money during the show through buying virtual flowers for their favorite celebrity. the price of virtual flower was just between RMB 2 to RMB 18. They also displayed names if people who buy most flowers. The whole season got more than 400 million views and company earn huge amount of money through online advertisements of giant sponsors. 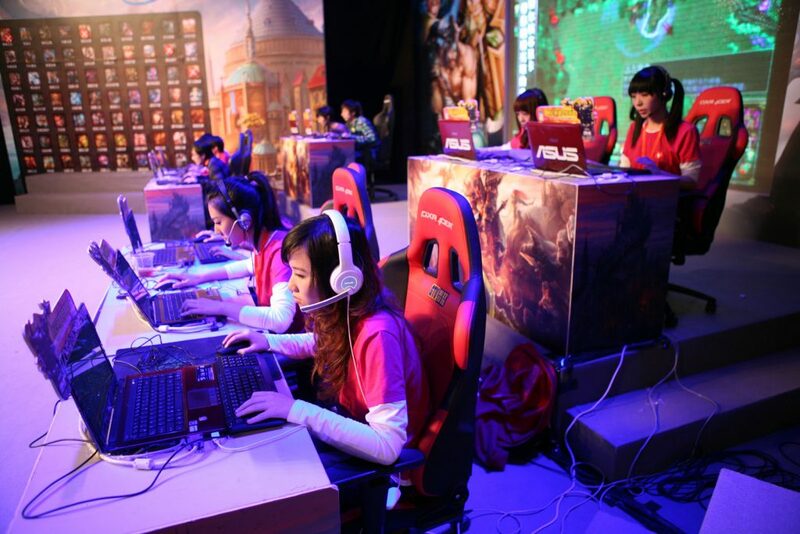 This venture of Tencent showed the power of online interactive shows. There are several online platforms in China which allow users to create live video streaming. Some platforms also have features which also users to let their audience interact with them. one of the biggest example of such platform is YY. It has feature for virtual gift to generate revenue. YY is offering several services including YY Music, e-learning, online dating, live video streaming, and gaming. Viewers can buy gift cards to support their favorite user. the selling of these virtual gifts is the primary source of revenue of YY. the revenue of YY Music is the maximum in this regard. Before 2012 gaming service of YY had maximum revenue but now revenue of even dating service of YY has surpassed gaming service. The dating service is very unique in which host can invite people for dating and viewers can view profile of those people and make comments. Viewers can also buy gift cards for host and his invited people. This service is becoming more and more popular in China and its revenue is also increasing rapidly. YY shares the revenue from virtual gift with owners of channel who directed audience to buy virtual gifts. It is the way of YY to motivate users to create more interactive shows. These types of shows are the future of entertainment industry and production houses are taking this concept very seriously.